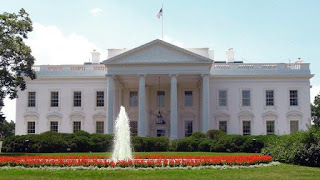 Barack Obama was elected president on Nov. 4, 2008, becoming the first African-American to claim the highest office in the land, an improbable candidate fulfilling a once-impossible dream. 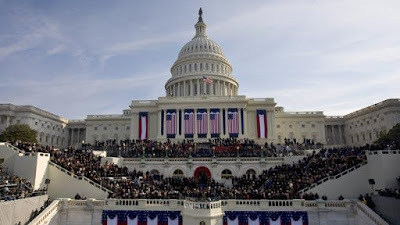 Obama's Inauguration took place in Washington, D.C. today Jan. 20, 2009. A nation that in living memory struggled violently over racial equality now has its next president a 47-year-old, one-term U.S. senator born of a Kenyan father and Kansan mother. He is the first president elected from Chicago and the first to rise from a career in Illinois politics since Abraham Lincoln emerged from frontier obscurity to lead the nation through the Civil War and the abolition of slavery. Obama's resounding victory over Sen. John McCain (R-Ariz.) repudiates an unpopular incumbent and an ongoing war, shifts national leadership to a new generation and provides dramatic proof to the world of the American ideal of opportunity for all. Obama was born Aug. 4, 1961, in Hawaii. He graduated from Columbia University in 1983 with a political science degree, and he entered Harvard Law School in 1988. Obama published an autobiography in 1995--"Dreams From My Father: A Story of Race and Inheritance". He was elected to the Illinois State Senate in 1996. In 2000, Obama ran for a seat in the U.S. House of Representatives, but lost to incumbent Bobby Rush. 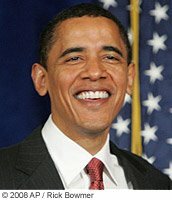 In 2004, Obama won the Democratic primary for the U.S. Senate. That summer, he delivered the keynote speech at the 2004 Democratic National Convention. His opponent in the senate race was supposed to Jack Ryan. However, Ryan withdrew from the race amid sexual allegations by his ex-wife. Alan Keyes replaced Ryan on the ballot, and in the general election, Obama won easily, grabbing 70 percent of the vote.